It wasn’t until a few months ago that I discovered the possibilities of pallets. Yes, I am talking about wood shipping pallets you see stacked up behind Home Depot and department stores and in the trash heap on the side of the road. After reading this post, you won’t look at them the same way again! FREE pallets or pallet wood! 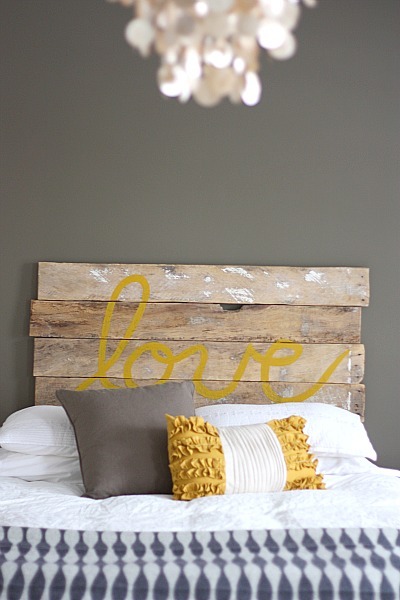 I LOVE this pallet swing! If I had the porch for it, I would be firing up the saw this weekend. See I told you, you wouldn’t think of pallets the same way again! For more inspiration check out this board on Pinterest. I drove past this HUGE pile of pallet and pallet wood the other day at a recycling center and had to stop and drool a little over the endless possibilities! But don’t worry, we had wood for our deck delivered this past summer and guess what it came on?? A pallet! So I have one that is getting all “weathered” and ready for me to use. Now the hard decision, what should I make? 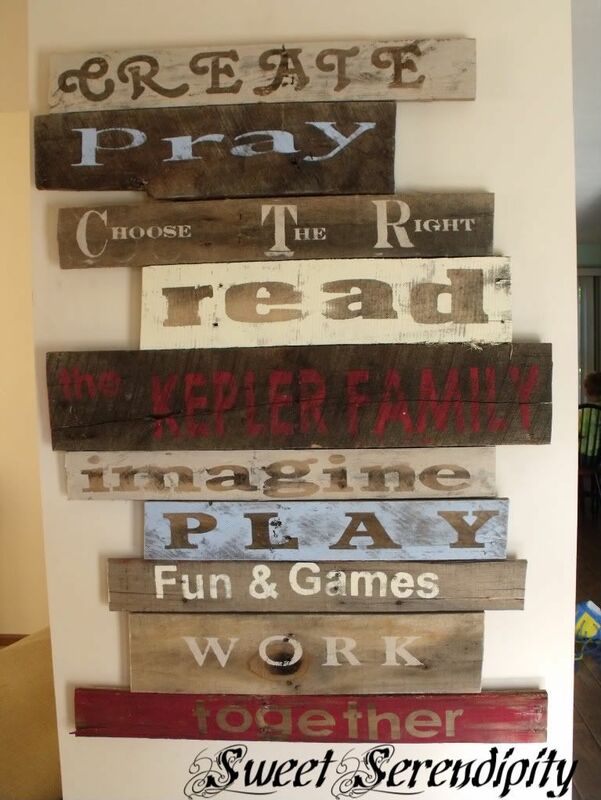 So the next time, you see a pile of trash pallets on the side of the road, stop and ask if you can haul it off for them and take it home and create something amazing! 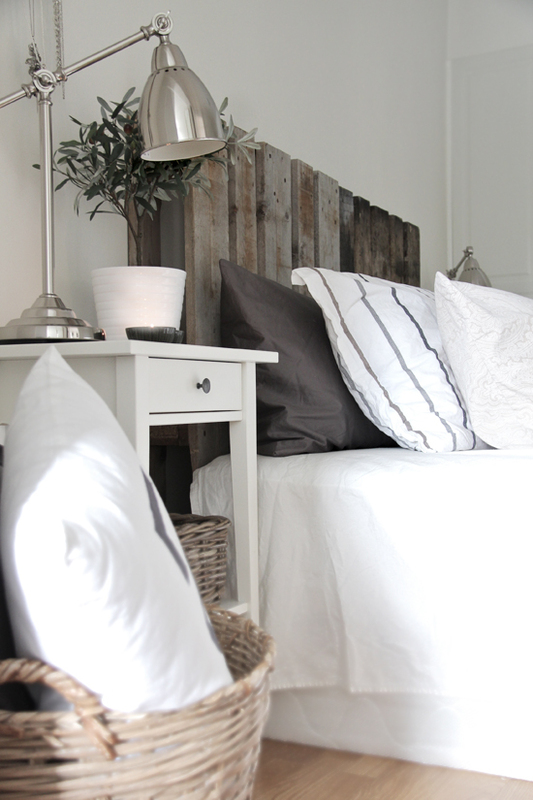 Have you ever created anything with a pallet or pallet wood? What project is your favorite? I’ve never made anything with pallets but I’ve sure been enjoying all of the creative things others have done with them! I’m just stopping by from tonight’s chat to say hi! I haven’t YET either! But I cast a longing glance at that lone pallet sitting in my back yard and will do something very soon with it! We make pallett decks. When we lived in our camper while working in Williston, ND, we built a 12′ x 24′ deck in front of our camper for a patio set and the grill. We leveled the pallets, covered the top with OSB, put a 3′ fence with utility wire around it with a gate and created an instant yard for the dogs. “Grass” carpet made it a wonderful way to get outside and up out of the snow. Whole project cost under $200. In TX, we built one beside our pool. Kept445 us away from the chiggers. 🙂 Cost was under $60 for a 12×16 ft deck. Last summer I made a raised garden bed from pallets. We just went behind Home Depot and loaded our van full of the ones that were piled by the dumpster waiting to be trashed. The only thing I would suggest is that you get softwood pallets if you plan to take them apart for the wood. (You can usually tell which is which) Some of mine were hardwood and were difficult to take apart without splitting the boards. They were also hard to nail back together- screws might be better for a permanent project like furniture. I wanted my raised bed to be transportable and easily dismantled for winter (to store in the shed). It worked great for growing veggies! that sounds great, Leah, I need to check with our Home Depot here. WOW! I love all of them, but my favorite is the swing, the book/photo shelf and the crates for toys! My hubby’s work place has a TON of those…now I know what I am going to do with them 🙂 THANK-YOU! awww – lucky you!! have fun with those pallets. 🙂 and there are many more ideas online – just google pallets or pallet furniture or do a search on Pinterest. I loved the pet bed! Thanks! My husband has made a bench and a table from pallets. I love them. 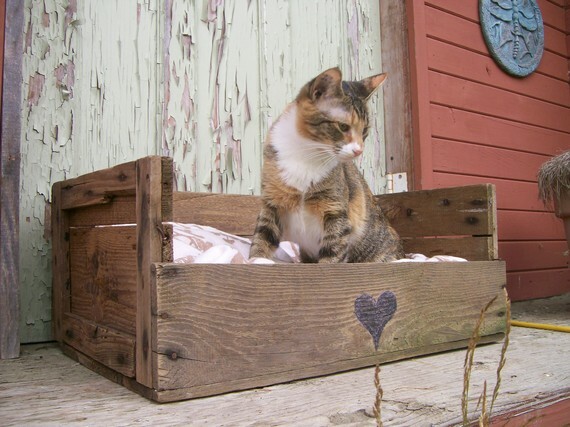 I’d love to have a pallet gardening bed but I’m concerned that pallets are chemically treated.